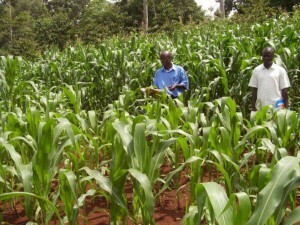 Crop yields have double and tripled in parts of Africa through increased applications of fertilizers and improvements in seed germplasm. However, gains in yields have often been achieved through inefficient and costly mineral fertilizer applications. 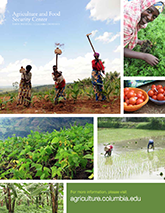 Increasing crop yields with efficient use of resources (nutrients and water) requires site-specific recommendations sensitive to local climate, soils, crops, and yield potentials. Yet current recommendations are often based on a regional or even national scale, with little relevance to critical local biophysical or socioeconomic characteristics. Moreover, knowledge and information about African soils is highly fragmented and often out-of-date, making improvements to the current recommendations difficult. Several on-going projects allow us to advance quickly in refining local and regional agricultural extension recommendations. Fine-tuning agronomic and fertilizer practices to increase crop yields and increase resource use efficiency (nutrients and water).